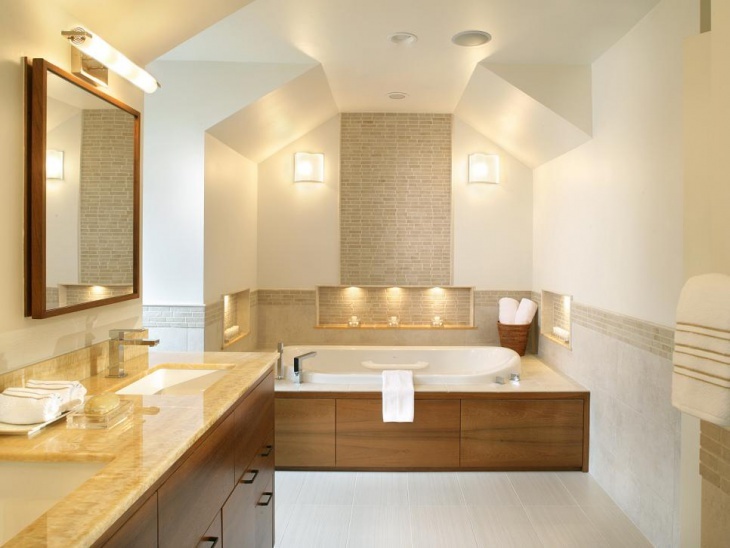 Lighting within a bathroom is vital for many different reasons. It not only lights up the room but it also sets the mood to determine what people feel whenever they are in that space using the provided facilities. Bathroom Wall Sconces are all the rage right now and rightfully so. They not only come in attractive designs but they can also instantly transform the mood from “normal and boring” to “classy and sophisticated” or even “romantic”. 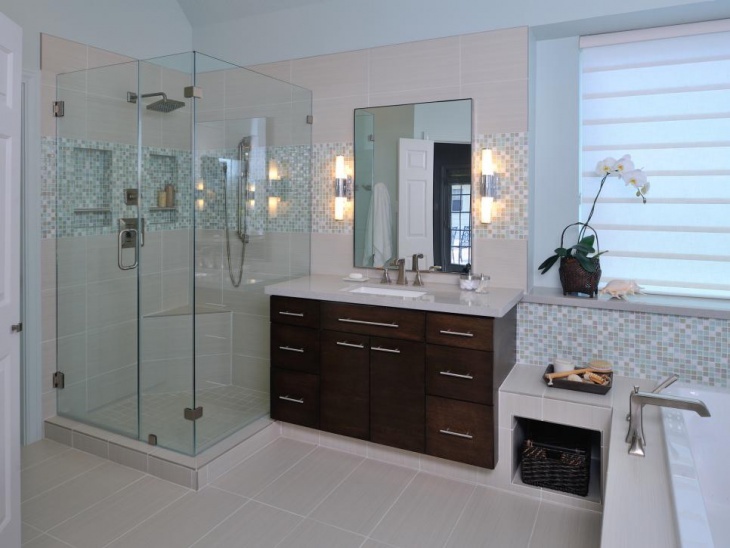 When picking out bathroom wall sconces you may want to go with a theme by which to design the space. 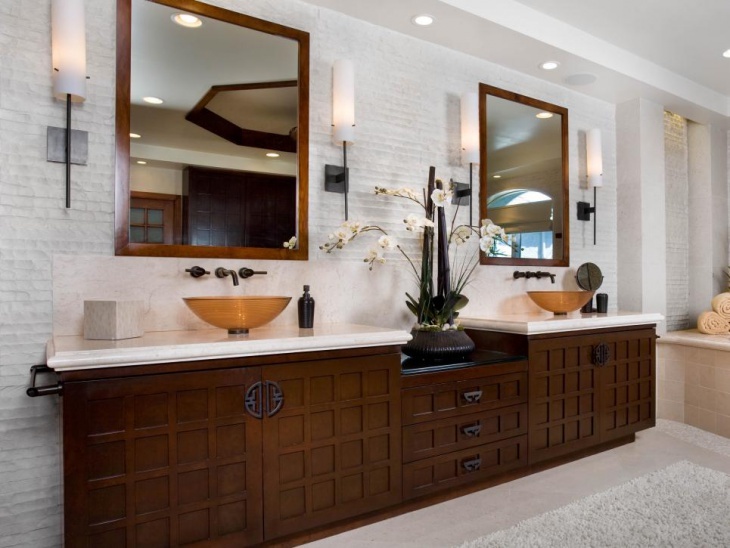 In the above setup, for instance, this bathroom features many elements reflective of the east including the sconces, the floral arrangement, the cabinetry as well as the style of the sinks. 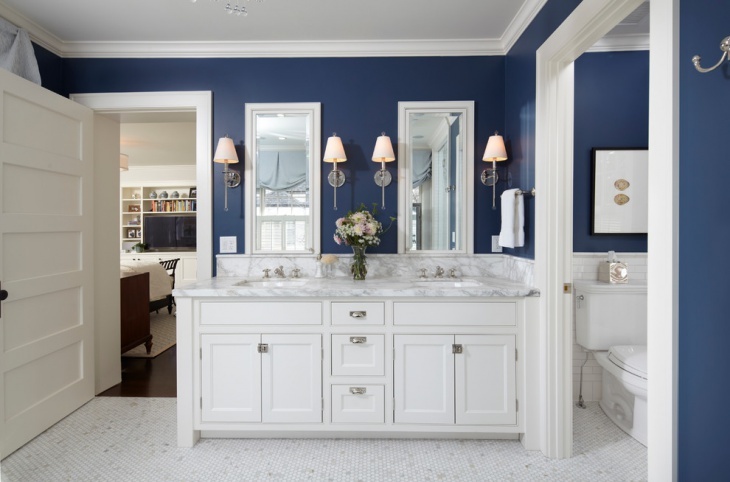 The white led sconce lighting in this bathroom enhances the tri-toned color scheme. Instead of having two sconces just as there are two mirrors and a double vanity, the design uses four sconces to break the monotony of pairs. Lighting does not necessarily have to come in a standalone fixture. 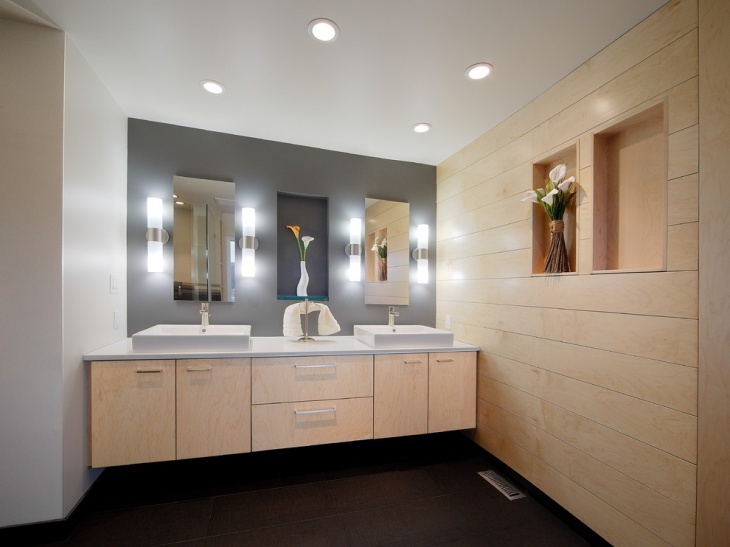 The above features wall sconces incorporated within the bathroom mirrors which are in turn integrated within the large bathroom mirror following the minimalist school of thought. 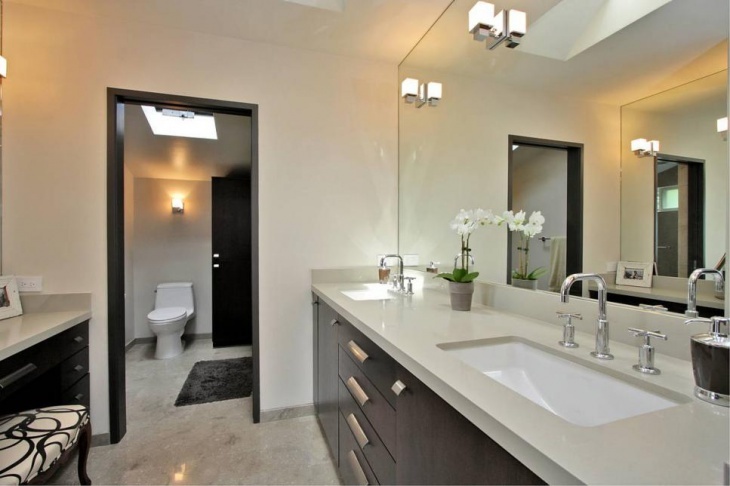 Just because a bathroom is dated does not mean some current trends cannot be incorporated within it. 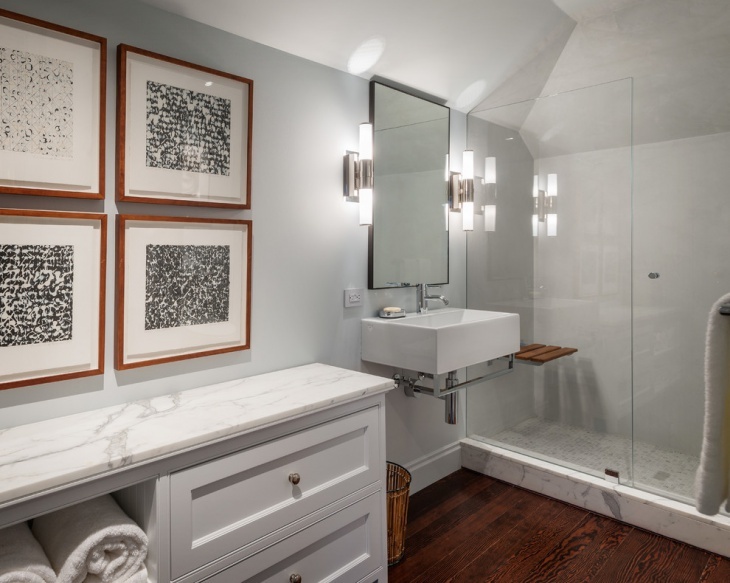 The old school wall sconces in this bathroom are a perfect match for the bathroom’s vintage look as would not have been the case if the designer had instead gone for a brass wall sconce, for instance. 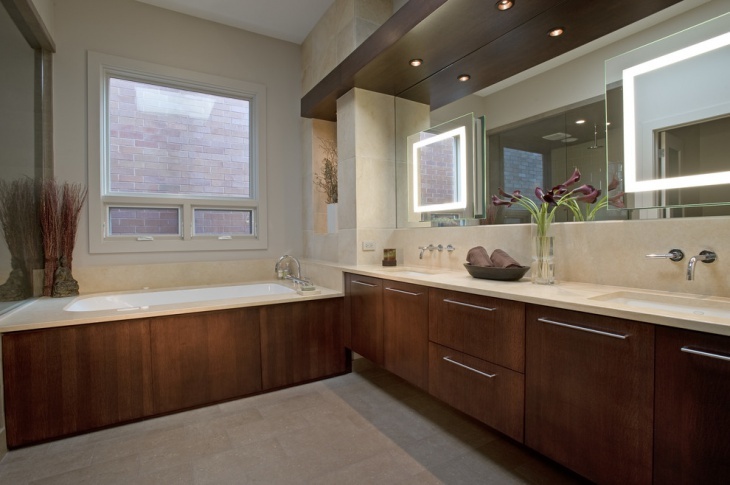 The wall sconces in this very modern bathroom have been used to outline and light the sink area. 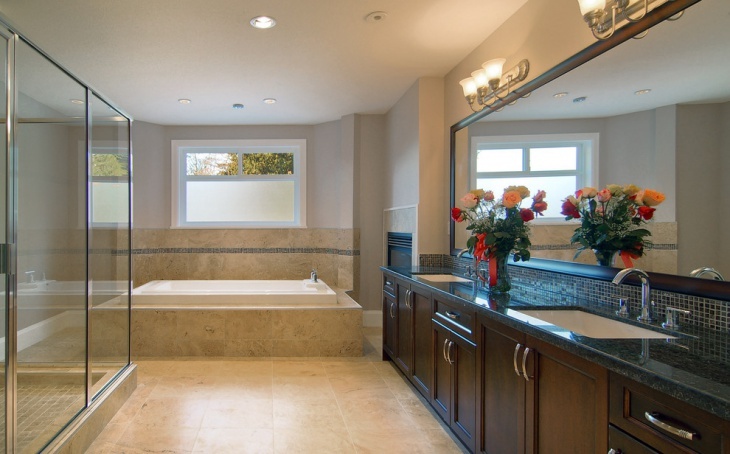 Notice how the kind of lighting dictates the climate thus providing different moods for the sink area, the bathtub re and the chaise lounge area. The daylight coming in through the white translucent window screen as well as the white tiles used give the bathroom an overall wash of white. This is thus contrasted by the yellow light from the wall sconces. 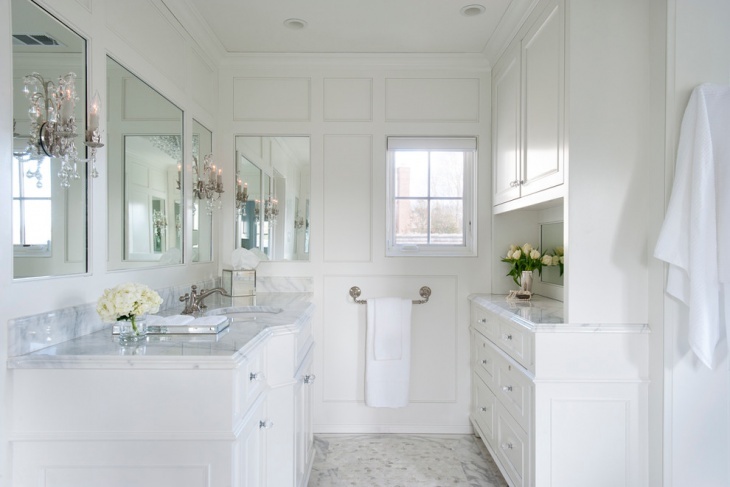 Marble is a timeless décor piece and the wall sconces in this bathroom echo the same timelessness. 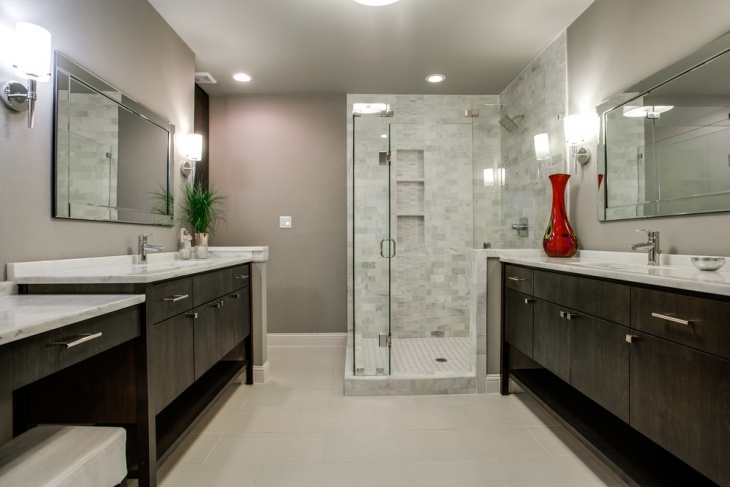 Combine this with wood cabinets and you have a bathroom with ageless beauty. 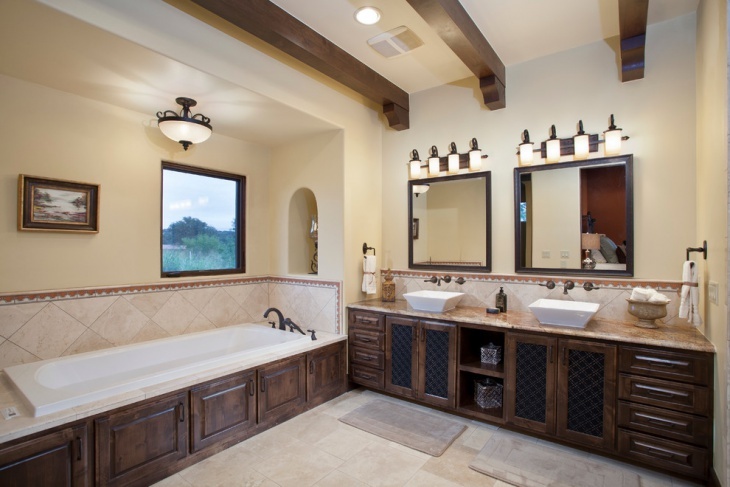 The mixture of terracotta, trance, and rich browns give this bathroom a rustic feel. 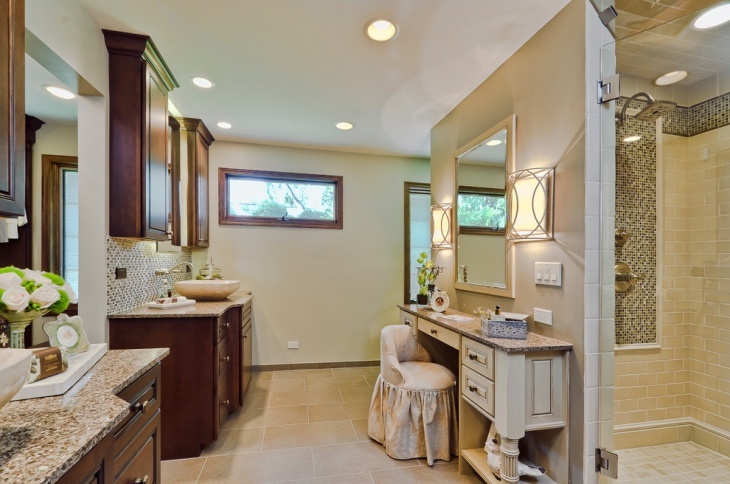 The yellow lighting blends in well with the wall paint color and the sconces are a nice touch. Using brass wall sconce would have worked just as well. The stark contrasted created between the dark wood vanity and the light gray walls gives this bathroom a rich look and feel topped off with the red vase introducing a pop of color. The simple design of the wall sconces and the white light emitted are a perfect completion to the existing décor. 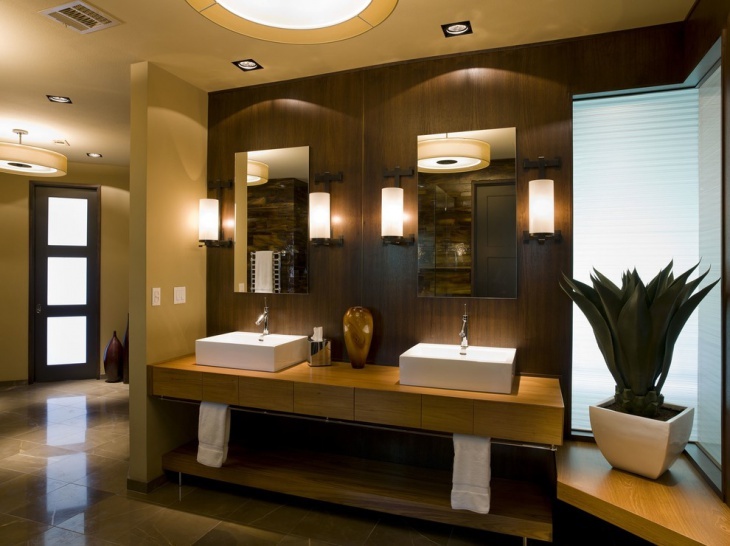 Unimportant as they may seem, bathroom wall sconces are a vital part of the overall look of a bathroom. Together with the color of light chosen, these are the small details that make or break the mood of not just a bathroom, but essentially any space. 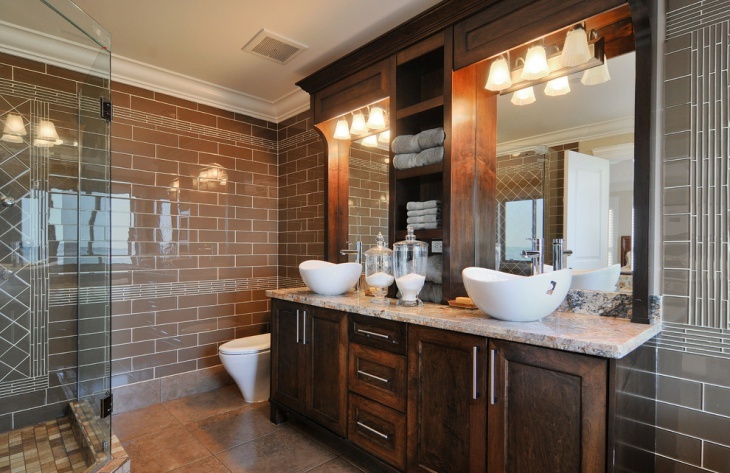 The important thing to remember is that the style of sconces should blend in with the existing décor.